The USS Batfish Living History day has become a highly rated, annual Muskogee attraction. 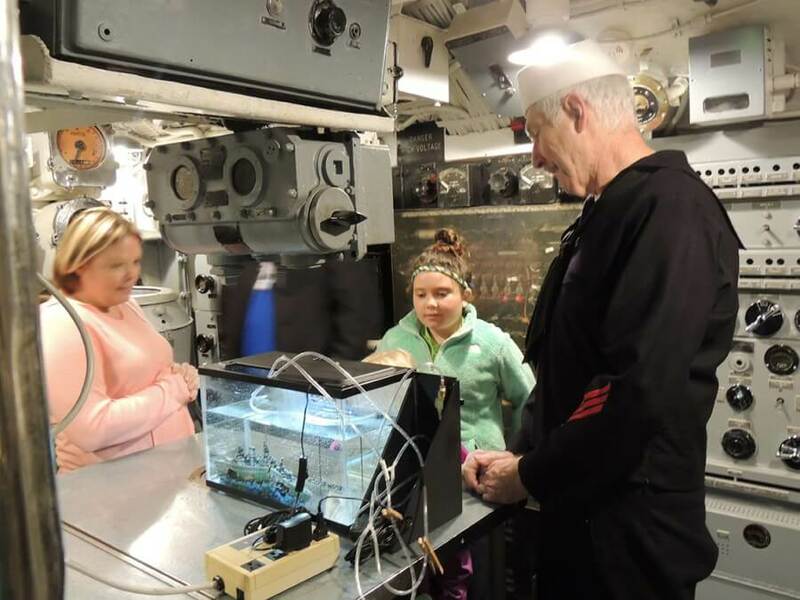 Step inside the USS Batfish, a World War II submarine responsible for sinking fourteen enemies, including three submarines, and witness a glimpse of submarine life during World War II.Even the officers come out to greet guests during our World War II USS Batfish Living History Day. Visitors learning about the size of the submarine during our USS Batfish living history dayThe Batfish Living History Association (BLHA), comprised of museum professionals and historians from across Oklahoma and beyond, gathers twice a year at the Muskogee War Memorial Park to entertain and educate patrons on submarine life during a World War II war patrol. Dressed in period appropriate regalia, the BLHA offers visitors a unique experience only available at the Muskogee War Memorial Park: Home of the USS Batfish.